Hajooj Kuka’s short yet powerful Beats of the Antonov is a poignant documentary on the war-ravaged border between North and South Sudan, set against the backdrop of refugee communities who have only one another to cling on to. Yet thanks to Kuka’s insistence on giving the refugees a voice to speak, Beats of the Antonov is an optimistic film that shows how communities can thrive even as people actively try to destroy them. Much of Beats of the Antonov is centered around Sudanese communities finding hope through song and dance. Men play the stringed rebaba, while children and adults sing their own songs about the strife of war, much like modern-day Woody Guthries. The film has philosophical ramifications as well, such as when ethnomusicologist explains why “girl music” is especially important to the Sudanese people, while also engaging in a debate with a colleague over what it actually means to be Sudanese. What it means to be Sudanese a question that is explored throughout the film, and there is a stark and real juxtaposition to it all. The refugee communities look downright happy during periods of song and dance, until human sirens hail the coming of the Antonov, the Russian planes used by Omar Al-Bashri’s regime to bomb villages in Sudan. Kuka’s cameras run and dive for cover with the rest of the refugees during those moments, and you are forced to remember the horrible crisis that unfolds on the screen happens every day of the refugees’ lives. 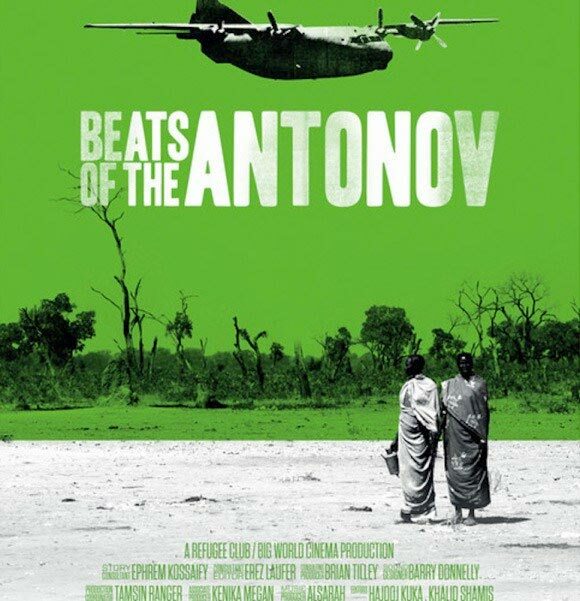 Beats of the Antonov is an enchanting look into something that has gone on for so long that much of the world has forgotten that a civil war is even taking place in Sudan right now. The documentary is a sobering look at what war does to a community, but also a heroic tale of how music and art stay with us even when a situation is most dire. This film was seen as a part of the Seattle International Film Festival – SIFF 2015.